Question: I wondered if you knew of any resources for good rolling, videos/techniques with standard paddles and non-greenland boats? Most of the rolling videos I see are with Greenland boats and sticks, or little whitewater boats. 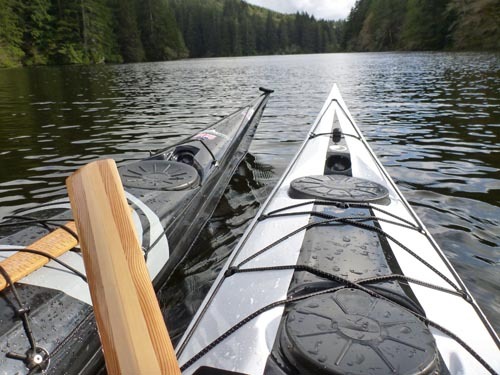 What about the everyday kayaker with, say, a Brit boat or recreational tourer? Would be really useful I think to see some more widely applicable videos using standard craft and paddles. Answer: Thanks for your message. I really enjoy discussing this topic. 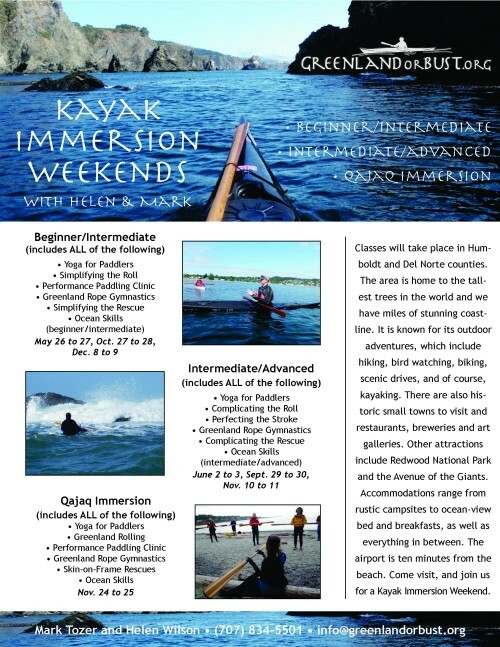 The techniques that are described in my rolling DVD are suitable for any type of paddle and any type of kayak. 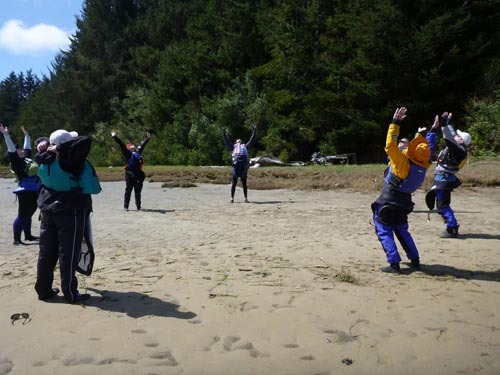 In fact, most of our students don’t have Greenland paddles or Greenland style kayaks. Of the kayaks that we own three are Greenland style (a west Greenland skin-on-frame, a Tahe Marine Greenland and a Valley Anas Acuta) and three are not (a P&H Cetus MV, a P&H Delphin and a Tiderace). The maneuvers on the DVD can be performed in any of them. 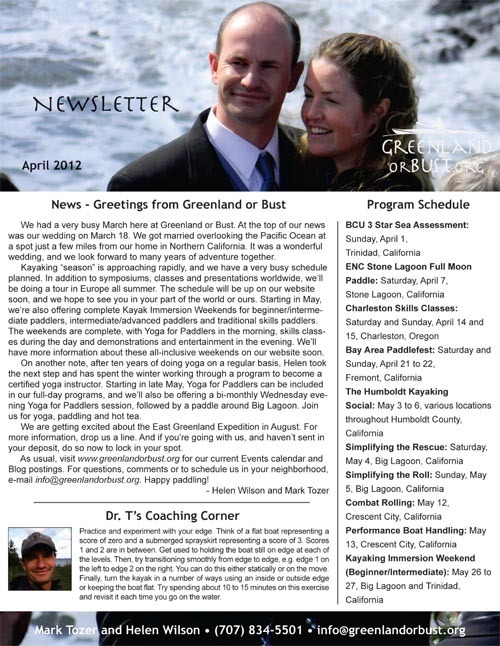 Last year I wrote an article for Ocean Paddler magazine demonstrating this and sampled lots of kayaks. 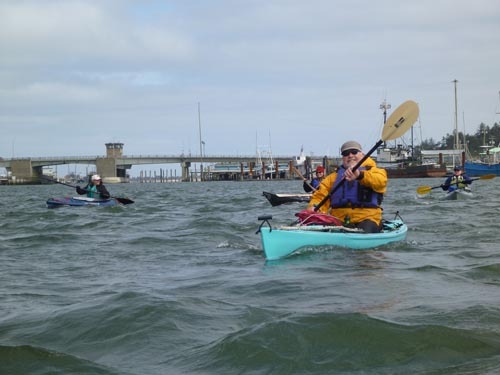 I’ve also covered the subject in Sea Kayaker magazine, and they posted this video to go along with my article: http://www.youtube.com/watch?v=TiAIPYRWHEo . 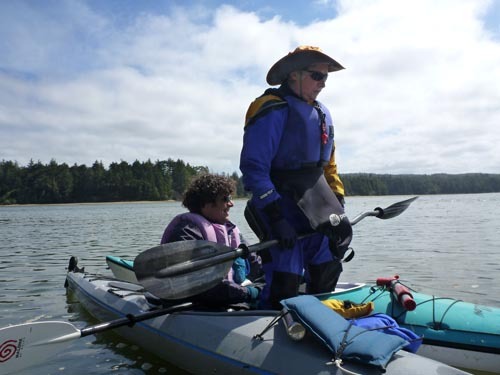 The kayak shown here is a very common Brit Boat (a Romany), and I’m wearing standard touring gear. As far as the type of paddle, rolling has to do with the body and not the paddle, so with good technique, the roll should work whether you’re using a Euro blade, a GP or an Invisible paddle (see the top video on this page: http://www.greenlandorbust.org/stuff/ ). That said, for many of us that get hooked on rolling, we find that some kayaks are more comfortable to do very advanced rolls in (such as the Elbow Roll or Straightjacket Roll) because of the low back deck. The rolls also look very sleek when performed in a low volume kayak. 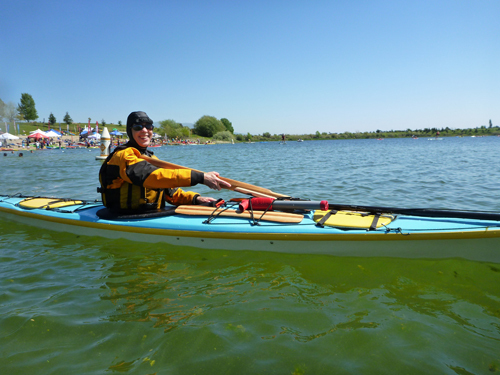 However, most of the rolls on the competition rolling list can be done just as comfortably in any type of sea kayak. I learned all of my rolls in a plastic Tempest 170. It seems gear specific when you call a Standard Greenland Roll that name, but the same roll can also be described as a Sweep Roll or a Standard Roll. The Storm Roll is similar to a C to C Roll, so really the difference is in the language not in the gear itself. Last Thursday Mark and I headed down the coast, and into the sunshine, for the Bay Area Paddlefest. We took our time and spent an evening in Healdsburg, a charming town in the heart of wine country. We spent the incredibly warm evening swimming in an outdoor pool, walking to the Plaza area of the town and tasting local food and beverages. The following morning we drove to Alameda where we hunted down a yoga studio and had time to squeeze in a class before making our way to the Encinal Boat Ramp for a semi-private rolling class in the afternoon. After the class we went to California Canoe and Kayak to catch up with friends before the event that would take place for the next two days. 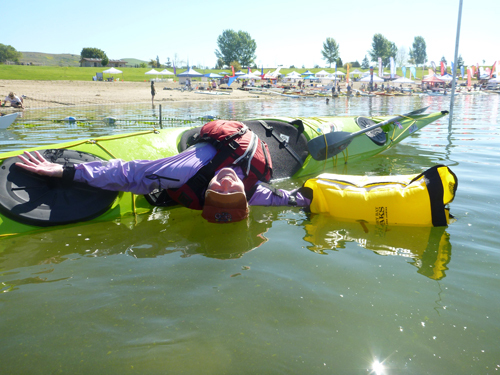 The Bay Area Paddlefest is California’s largest paddlesports expo. 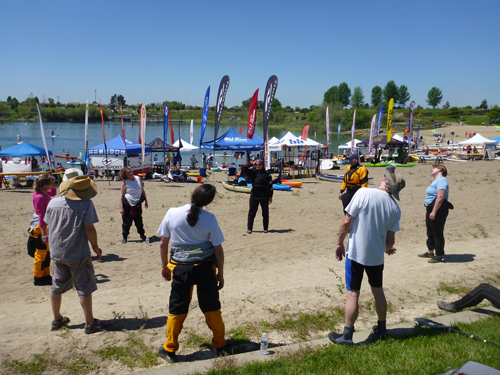 It takes place on the Quarry Lakes Regional Recreation Area in Fremont. 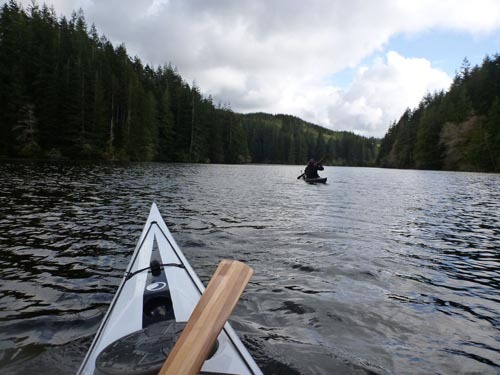 It is a great place to try kayaks, SUPs and canoes. Classes were offered throughout the day, and Mark and I ran four rolling clinics and a rescue and recovery clinic throughout the weekend. It was fantastic to be in the sun, and rumors were that the high temperature of the weekend was 92 degrees. Therese sets up for the Shotgun Roll. Kathy learns the Balance Brace. Sean plays with the paddling ergometer. Mark and Jared chat about Kokatat gear. 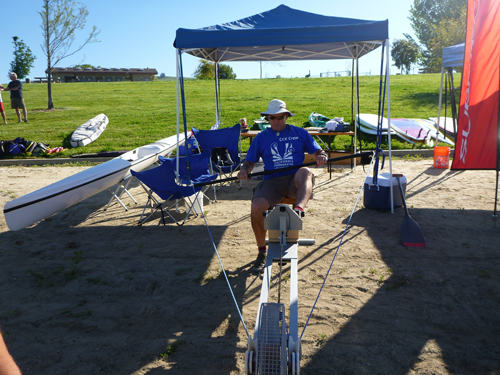 This year's challenge was to roll a surfski. Yes, it's possible. Thanks to the organizers of the event for having us there, and we’ll see you next year! Last Thursday Mark and I drove up the coast to run some classes for the Friends of South Slough Reserve. 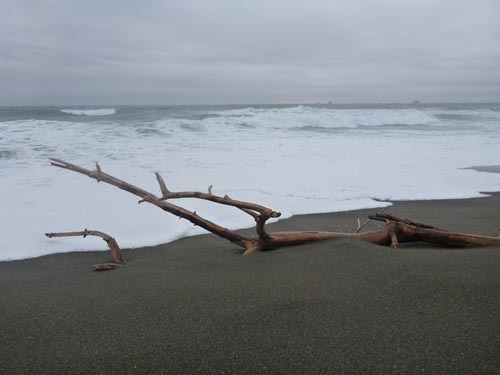 We decided to take our time and enjoy the scenery, so we went a day early and stopped in Port Orford, a charming fishing town in Southern Oregon and a wonderful place to kayak when strong winds aren’t blowing from the south as they were on this particular day. 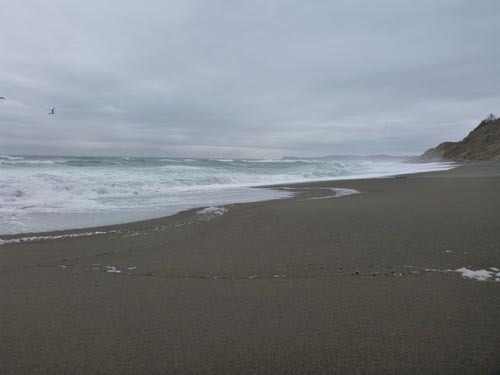 We stayed at a delightful Bed and Breakfast called The Compass Rose, and enjoyed a walk on the beach, some relaxation and a fabulous breakfast before heading north to Eel Lake for a private rolling class. The weather was fantastic, and after the class Mark and I went for a leisurely paddle, stopping to admire a couple of bald eagles. We had the whole place to ourselves and had a wonderful time making our way down one of the lake’s fingers while planning the weekend’s classes. Sharing a moment of solitude. 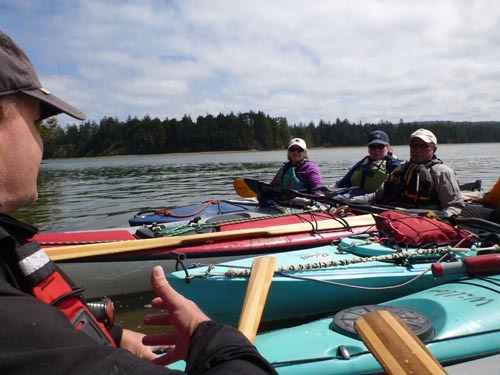 Saturday’s class took place on the South Slough, and we worked on skills such as balance, strokes, towing and paddling in wind. That evening I did a slideshow presentation called “A Watery Summer” at the Coos Bay Boat Building Center. Gorgeous day on the South Slough. 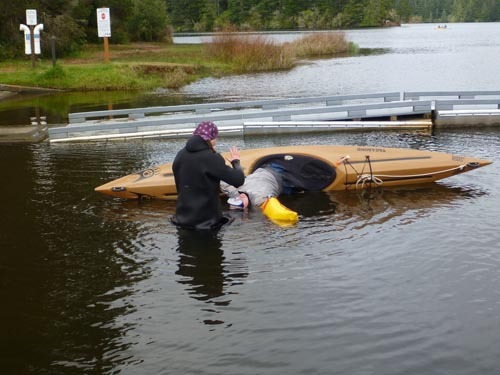 The following day classes continued, and we worked on rescues, towing and maneuvering strokes at Eel Lake. The weather stayed nice the entire weekend, and we look forward to returning to Oregon again soon for more classes and outdoor fun. Thanks to the Friends of South Slough Reserve for having us there! 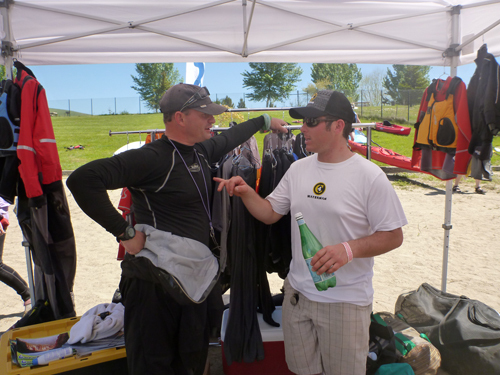 Mark discusses the finer points of kayaking in wind. Photos by Helen and Mark. 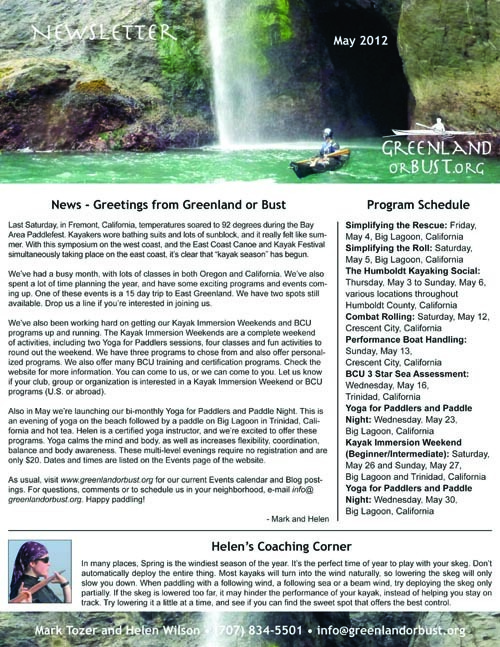 Description: Join Helen Wilson and Mark Tozer for a full weekend of Yoga for Paddlers, Simplifying the Greenland Roll, Simplifying the Greenland Stroke, Combat Rolling, Open Water Skills and Paddle Tricks. Contact: For more information, course fees or to register, e-mail roddy@kayakbute.co.uk or visit http://www.kayakbute.co.uk/date-details.php?id=1092. 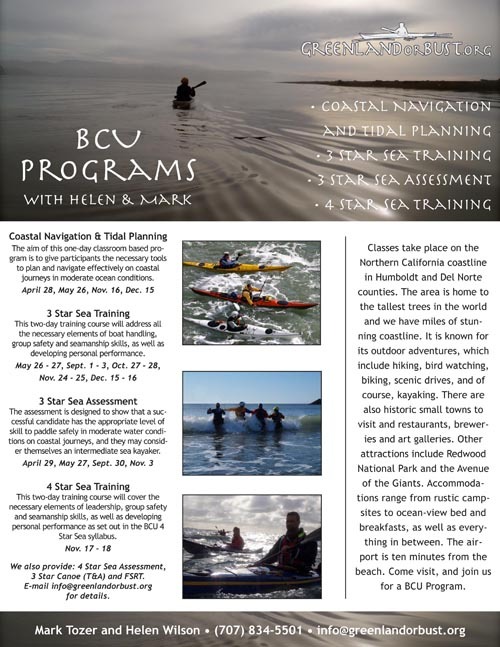 Description: Join Helen Wilson and Mark Tozer for a full weekend of Yoga for Paddlers, Complicating the Roll, Perfecting the Stroke, Greenland Rope Gymnastics, Complicating the Rescue and Ocean Skills (intermediate/advanced). Private classes are available on November 2.